We ask our clients this question before we kick off any b2b telemarketing activity. 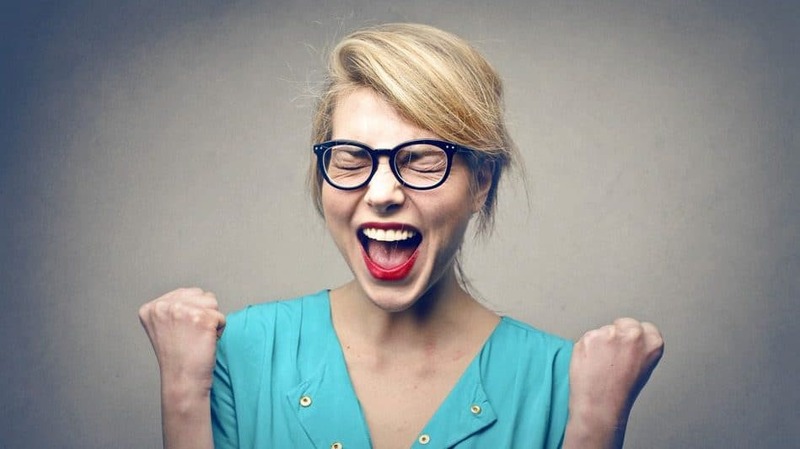 Let’s face it, understanding what success looks like is pretty important whatever marketing method marketing you choose. It reminds me of the lovely conversation between the Cheshire cat and Alice in the book Alice in Wonderland. Understanding what success looks like and having clarity of objectives is fundamental when goal setting and delivering the results. When it comes to lead generation, there are a number of elements you should consider if you want to achieve success. Below, we’ve detailed a few of the key questions you should ask yourself. There’s a bit more detail later in this blog. What is the likely value of sale per project, per annum or over a customer lifetime? How long can you support the cost of activity before you generate revenue? What is a reasonable ROI ratio for your specific business? What in your business will drive results? Do you have a fantastic product or service that everyone needs and a clear target market or could you sell to anyone and are there lots of competitors? Are your targets reasonable? This depends to a great extent on Number 4 above but also on the quality of your database or calling list and the amount and duration of the telemarketing. The reality is that the ROI varies due to all manner of factors. 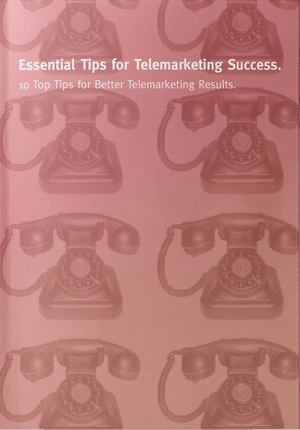 Some telemarketing campaigns work better and faster than others. This may well be because the target decision maker is more accessible and the product or service is easier to promote. However, if the decision maker is accessible it’s often because they are lower down the organisation or work in smaller companies with lower revenue potential. The key determinant of success is ultimately revenue flow and hitting company revenue targets. Clearly, we all want a quick result. However, that may not be feasible when it comes to senior level lead generation. C-Suite executives are unlikely to want to just sit down over a coffee and chew the fat when they don’t have a project in mind. Larger companies have incumbent suppliers with whom they have contractual terms that sometimes span years. Work out your budget – Whilst we can all say that it’s about ROI, the reality is that we all have to work within budgets. Therefore, identify your seed money; the money you’re willing to commit to a consolidated telemarketing campaign. Identify campaign duration – Rome wasn’t built in a day. That’s especially true when it comes to high value sales where gestation periods can be long and decision-making is made by committee with board level ratification. We recently made an appointment for a client with a prospect where they won the business. The value will be in the region of £500k-1m this year. The first call we made to the prospect was July 2012! Don’t spread the time too thinly – Whilst it’s tempting to spread the budget over a long period to avoid missing call-backs at renewal time, it’s equally important to profile the target list to identify who is in the market now. There’s nothing worse than making a call to find out that a prospect entered into a contract with a competitor a few weeks or months previously. Be clear on value of sale you’re going to use for ROI – This means working out what a typical client win is worth and assessing that revenue over your typical client retention period. So, if a client is worth £30,000 per annum and they stay 3 years, that’s £90k. This figure helps you evaluate the investment. Work out your closure rate – How many prospects do you need to meet, demo or quote to win a piece of business? That gives you a ratio of meetings to wins to set against the value of £30k or 90k above. If your close rate is 1:10 then you know the number of meetings required in any given period to generate the return and this is your prime input for success. What is the cost of each appointment or outcome? – Whilst we don’t advocate pay per lead in telemarketing as there’s a risk that it leads to poor quality, the cost per meeting is an important statistic. For example, if each senior level meeting costs £600 then 10 meetings is £6000. Set this against the above and the annual ROI would be £30,000 / 6000 = 5:1. If we calculate this across lifetime value above of £90,000 it rises to 15:1. Clearly, the figures can go up or down dependent on your business, target market, value of sale and proposition. It is therefore difficult to say what success looks like. It will be different for every organisation. Some organisations just want qualified sales leads that they follow up using internal sales people. Others want to close sales directly on the telephone. It also very much depends on how well known you are in your marketplace, the quality of your solutions, the credibility of your online presence when buyers check you out and the amount of other marketing support for telemarketing. In our recent article, we explained how outbound and inbound marketing are coming together and how they support each other to accelerate results. Ultimately, it comes down to two things. Firstly, return on investment and secondly how long you can support telemarketing activity until that ROI return kicks in. There is no fixed ratio for success. It differs widely. Success should be directly related to your achievement of your business growth targets. We’ve seen campaigns achieve several leads / appointments each day and quick wins. We’ve also run campaigns where it takes several days or more to reach really senior people who then tell you they’re in contract. We’ve identified projects for immediate opportunities and we’ve nurtured the sales pipeline for several years until the need comes along with a target organisation. In those cases, we may need to use other methods alongside telemarketing as we use calls to keep in touch and identify contract renewal dates. So, do the maths. Be realistic with your objectives and expectations. Make sure you take a medium to long-term view especially when it comes to higher value sales. And, measure throughout the campaign so you can evaluate progress all the way along towards achievement of the success you need.